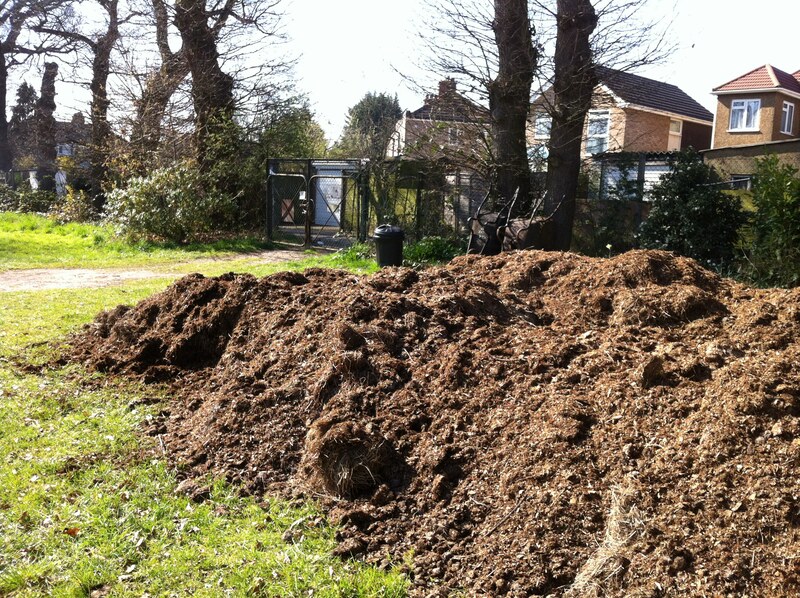 Our site is lucky enough to have manure delivered on a regular basis. Although we are fortunate enough to have two sets of gates, one at either end of the site, the lane leading up to what is known as the ‘Ruislip End’ is very narrow; too narrow for the truck that delivers. Surprisingly heavy when loaded into the wheelbarrow, the task of transporting the manure can be exhausting. 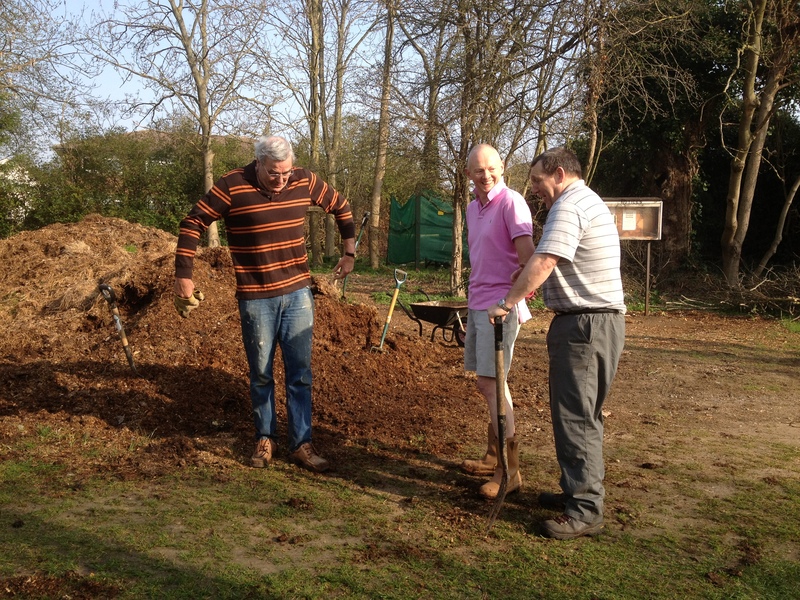 One of the commitments from our secretary at the recent AGM was that a way would be found to supply the manure to both ends of the site. With this in mind this is what happened on Saturday. 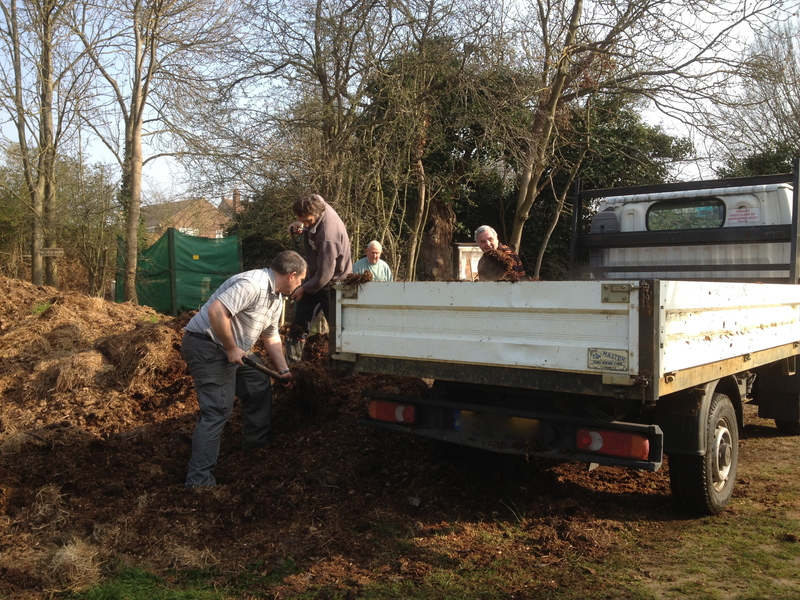 Ok, that was the ‘how many allotmenteers does it take to shift some manure’ joke, here’s the action shot. Seven truck loads later this is the result. That was the muck bit; the brass refers to the change in system. Rather than pay by the barrow load, a £10 charge is now made for as much as you need in the course of a year. A good result all round.